Travelport has launched a global campaign to improve awareness and use of the DPNA Special Service Request (SSR) code, which can be used by travel agents to alert airlines when a passenger has an intellectual or developmental disability. The campaign was initiated after Travelport found evidence of low use of the code on bookings made through its global distribution system (GDS). GDS are vast hi-tech reservation networks that allow travel agents, travel management companies and large corporations to search and book airline seats, hotel rooms, rental cars, and other travel related items. Despite registering more than 250 million flight bookings through its GDS globally in 2018, and an estimated 200 million people worldwide having an intellectual disability (2.6% of the global population), the code was used just 4,309 times (approximately 0.0015% of total flight bookings). A poll of 136 of travel agents, conducted by Travelport, revealed just 24% know the code exists. The six-month long campaign will reach more than 100,000 travel agents in over 30 countries. It features electronic direct mails (EDMs) as well as ‘sign on alerts’ and graphical ‘prompts’ delivered through the company’s flagship Travelport Smartpoint tool, which is used by travel agents. The EDMs and 'sign on alerts' are being shown to Travelport's travel agent partners globally, while the 'prompts' are activated when a consultant is at the booking stage of a flight to over 30 of the most popular destinations. The 'prompts' are also being shown when any flight is about to be booked to or from the United Arab Emirates – the country hosting the 2019 Special Olympics World Summer Games. 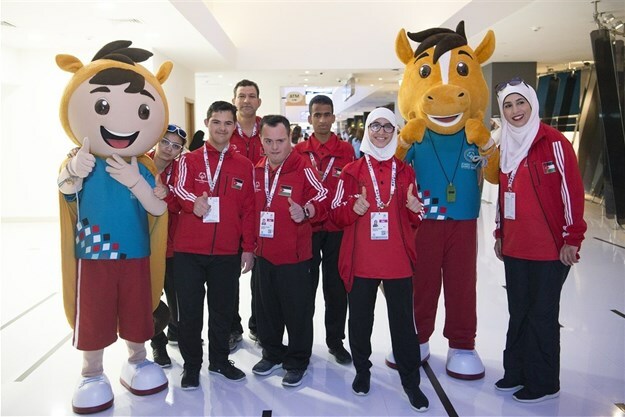 Linda Celestino, vice president, guest service and delivery, Etihad Airways said: "As the official airline partner of the Special Olympics World Summer Games 2019, we are proud to support the use of the DPNA Special Service Request to enhance visibility for our airport and cabin crew teams when assisting people of determination. In preparation for Special Olympics team travel across the Etihad network, our teams have received additional training on how to best support guests with intellectual disabilities." Travelport has allocated over $100,000 worth of slots for the DPNA SSR code awareness campaign, which will run until 31 August 2019. Gordon Wilson, president and chief executive officer of Travelport said: "Travel can be a particularly challenging time for people who require special assistance, so once we discovered such low use of the DPNA SSR code, we decided to take action. Our point of sale, Travelport Smartpoint, with all of its graphical and prompted capabilities offers the perfect channel to reach and remind travel agents across the world of the existence of this facility, enabling them to work in better partnership with our airline customers in the service of these travellers. We hope this campaign will not only make a difference in the travel industry but act as a catalyst for other organisations to investigate how their industry or the industry they serve can better support people with intellectual disabilities and make improvements where needed." SSR codes are used in the airline industry to communicate traveller preferences or needs, such as requests for wheelchair assistance, to airlines. They are delivered through standardized four-letter codes defined by the International Air Transport Association (IATA). The DPNA code needs to be accompanied by additional descriptive free text, so the airline understands the support required. Once an IATA member airline has received the code, a response acknowledging the request is mandatory. Linda Ristagno, external affairs manager at IATA, said: "We introduced the DPNA SSR code to assist persons with intellectual and developmental disabilities. We are delighted that Travelport has launched this awareness campaign and encourage all our member airlines and travel agents to properly use this and all the other IATA disability codes to ensure that the appropriate support to our valued passengers is provided."